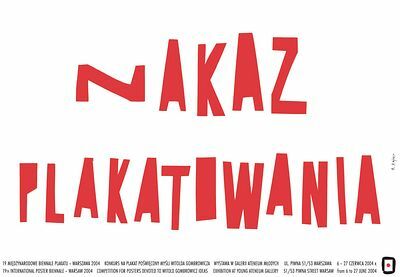 180 Polish and Swiss posters from the collection of the Gallery of Poster and Design of the National Museum in Poznan will be displayed at the exhibition. Typographic design in poster art enjoys almost a hundred-year-long history. The idea of a letter as a significant element of composition and information was developed independently in several centres of undisputed importance, which to this day constitute a point of reference for graphic artists, who either creatively expand on their tradition, or transgress the limitations set by them. We owe typography’s upgrade to the rank of art to the avant-garde artistic movements of Modernism. New theoretical assumptions acquired a practical dimension as well in compositions which made use of innovative sorts and printing signs published in magazines and catalogues of those times. At the exhibition, we will present 40 posters of Swiss graphic artist considered to be the pioneers of the creative use of typography in poster design. 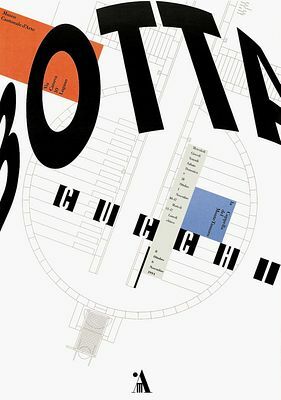 The basic trends of the 1930s – sobriety, specificity, drawing on the tradition of Constructivism and Bauhaus – were not only continued, but also elaborated, and the perception of posters created in this country as distinctive was strengthened by introducing the concept of the Swiss Style (Schweizer Grafik). 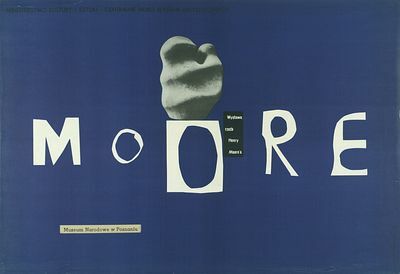 The 1940s brought posters based on typographic solutions. Among the most prominent creators of those times we can list Max Bill, Carlo L. Vivarelli, Armin Hofmann, and a bit younger Siegfried Odermatt, Rosmarie Tissi, and Bruno Monguzzi. 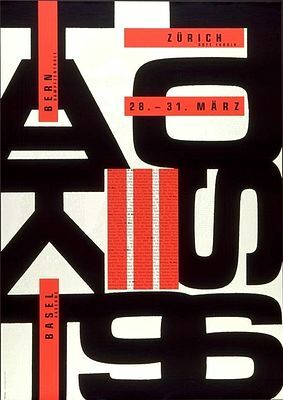 The canonical assumptions of the Swiss poster, based on the balancing of visual and textual elements of a composition, changed only in the last decades of the 20th century, along with the birth of a younger generation of poster artists – among them Niklaus Troxler, Ralph Schraivogel, and Rudi Wyss. 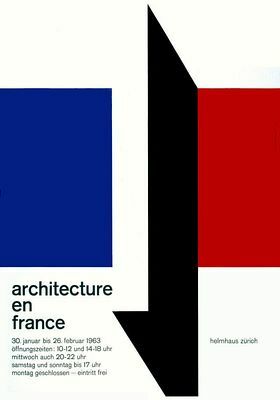 These graphic artists were the first to question the rational assumptions of the Swiss style. Lettering became a pretext to engage in a graphic game, in which the legibility of text was no longer an asset. Composition became more dynamic, and complicated typographic and lettering arrangements became the posters’ main visual elements. 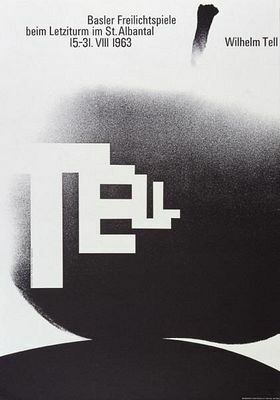 On the verge of the 21st century, such graphic artists as Cornel Windlin, Martin Woodtli, or the members of the NORM group completely transformed the Swiss poster, and found numerous imitators, also abroad. The selection of 140 works from the Polish poster collection will introduce the viewers to the output of our artists. 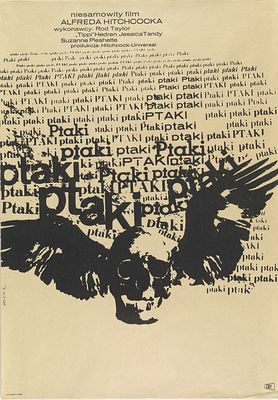 However, it will not be a typically traditional view of the Polish poster, associated by most people mainly with painting poster, which constitutes the core of the so-called Polish school of poster. This time, the point at issue will be the letter, whose various uses in poster allow to perceive the enormous possibilities of lettering compositions. 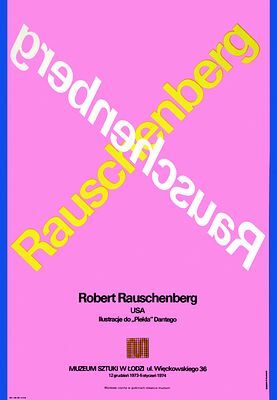 The choice of the posters for the exhibition was determined most of all by the visual attractiveness of particular messages, which in this case do not evolve – unlike the Swiss poster – chronologically and linearly. What those two different environments undoubtedly have in common is the presence of outstanding graphic artists. In the Polish works, two completely distinct tendencies are discernible. The first one is based on the inspirations flowing from the Constructivist traditions and alluding to the pre-war avant-garde movements. 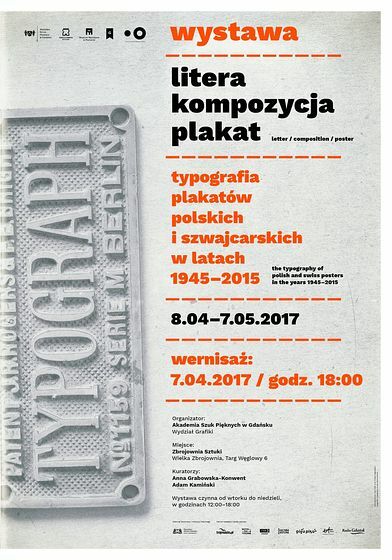 It is associated with Lodz artistic circles that referred to functionalist typography, a phenomenon discussed by Wladyslaw Strzeminski and the artists from the a.r. group, among others. 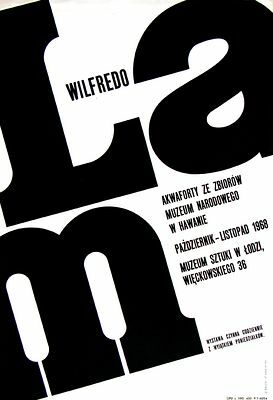 For the purposes of exhibitions presented in the Museum of Art and the BWA in Lodz, posters belonging to this current were designed by Boguslaw Balicki and Stanislaw Labecki, graphic artists affiliated with the State Higher School of Visual Arts in Lodz since the 1960s. The tradition of Lodz design is also alive among the members of the younger generation, represented by Slawomir Iwanski, Tadeusz Piechura, Slawomir Kosmynka, Jakub Stepien, and Krzysztof Iwanski. The second current is connected with the pure pictorial expression developing under the influence of interwar design. 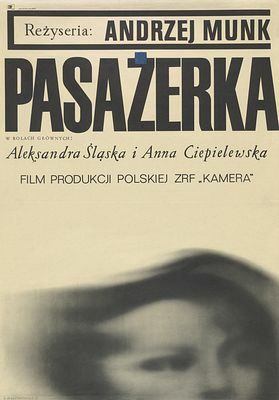 It includes mainly film posters, which in the post-war years belong to the works least subjected to ideological control and allowed for experiments. Many young Polish creators, who often graduated in painting or architecture and had no knowledge about poster design, began to employ the means best known to them – painting tools. It should be kept in mind that the experiences of pre-war advertising were officially denounced, and the achievements of contemporary art inaccessible. The text which appeared on the posters was naturally written by hand, and the letter – depending on the creator’s choice – either perfectly complemented the graphic composition or combined visual and informative functions. 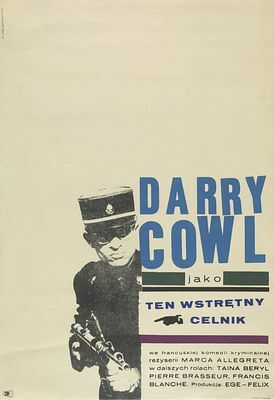 Such posters include the works of Polish masters of poster design: Henryk Tomaszewski, Jan Mlodozeniec, Roman Cieslewicz, Waldemar Swierzy, and Wojciech Zamecznik. At the exhibition we will also find posters in which the letter on the one hand served the artist as a tool to convey a message, and on the other plays the part of the main element of the composition. Sometimes, these two functions are perfectly united – in these cases we can speak of truly outstanding posters, in which the image of the letter and the message become one. It will also be interesting to look at the works of younger creators, in which the letter, either handwritten – closer to the painting tradition (e.g. 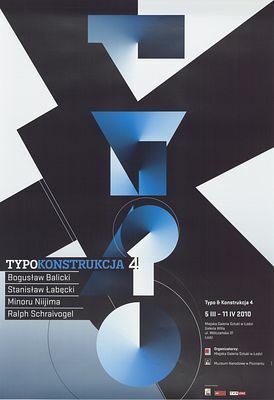 Lech Majewski, Piotr Mlodozeniec, Ryszard Kajzer) – or associated with newly-designed fonts (e.g. Jakub Stepien, Krzysztof Iwanski, the FONTARE group), acquires a very particular character.